Yes , that former , failed Home Secretary , now to take that knife to your benefits and allowances by allowing all previously annonced cuts to be implimented , on schedule from April 2019. How she must be proud of the local foodbank on her own manor ? Foodbank in Hastings sees massive increase in demand. Demand for Hastings Foodbank has seen a massive 82 per cent increase since last December. The charity believes the recent overhaul of the benefits system to Universal Credit is responsible for the surge in need. Universal Credit involves wrapping six existing benefits into a single monthly payment. But the foodbank said many were struggling, having to wait six weeks for their money. Natalie Williams, communications and community engagement manager at King’s Church, which houses the town’s foodbank on The Ridge, said: “Hastings Foodbank has seen an 82 per cent increase in referrals since Universal Credit was expanded to Hastings and St Leonards, compared to the same period the previous year. If we compare the same period 2014/15 to 2015/16, we saw a seven per cent increase in referrals. “The big jumps in referrals we’ve seen in these last 10 months in Hastings are under the following categories, namely benefit changes and delays, debt, homelessness, and low income. The recent figures equate to 54,711 meals provided between December 14 last year and September 11 this year, compared to 30,033 for the same period the previous year. “The changeover to Universal Credit is undoubtedly having a huge impact on people in Hastings and St Leonards. “People are struggling with the six-week gap, which can sometimes be even longer, where their benefits are stopped and they haven’t yet started on Universal Credit. Universal credit: Urgent report calls on ministers to push back any votes over " Major areas of concern. " Demand comes as new work and pensions secretary Amber Rudd acknowledges problems with welfare reform. Major areas of concern remain with universal credit, a group of MPs warn today in an urgent report calling on ministers to push back any vote on the flagship welfare reform. The Commons Work and Pensions Committee claims that getting “managed migration” – the process of transferring claimants from existing benefits to universal credit – wrong when it starts in mid-2019 could “plunge claimants into poverty and even leave them destitute”. Despite money being allocated for universal credit at the Budget, the committee warns that “major areas of concern” about the welfare reform remain. It adds that MPs in the Commons have not had a chance to scrutinise and report on the revised regulations brought forward by the government in November, and claims the indicative timetable suggests “there will be no opportunity for expert scrutiny”. While a specific date has not yet been allocated for the vote by the government, the committee recommends that no vote take place until the Social Security Advisory Committee (SSAC) has been able to report on the regulations. Frank Field, the chairman of the committee and independent MP, said: “The committee’s main proposals seek to ensure that the risk of moving claimants from the old system of benefits on universal credit lies with the government and not on the shoulders of poorer people. “The government is thankfully making and then remaking its policy on how best to transfer existing claimants on to universal credit. 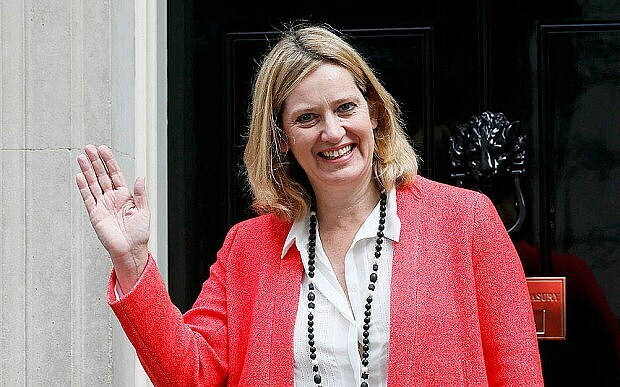 The demand comes as Amber Rudd, the new work and pensions secretary, said on Wednesday that the government’s flagship welfare programme is “a tremendous force for good in this country” but acknowledged there is “a problem” with the reform. She accepted there had been “teething problems” with universal credit, which is due to be rolled out to all claimants by the end of 2023 – following several delays since its introduction by Iain Duncan Smith. But she defended the reform, which rolls six “legacy” benefit payments into one monthly sum, claiming it “makes it much simpler and more straightforward for people to access” and “makes it easier to get payment immediately and incentivise getting into work”. At the Budget last month chancellor Philip Hammond bowed to intense pressure from charities, campaigners and cross-party MPs to make universal credit more generous, spending £1bn to – ministers say – cut the wait for a first payment from five to three weeks. A further £1.7bn will improve “work allowances” – the amount someone can earn before their benefits start to be crawled back from their higher income, which will be worth over £600 per person. While the respected thinktank the Resolution Foundation said the changes would ease the affect for 200,000 people they added that far more must be done to make it “fit for tackling the big challenge of in-work poverty”. “The welcome extra investment in universal credit at the Budget means that a further 200,000 working families will now be better off under the new benefit system than the old one,” said Laura Gardiner, its research director. A spokesman for the Department for Work and Pensions said: “As we’ve said before, these regulations were open for comment on our website for several months, and over 400 stakeholders offered their views. During this time the Work and Pensions Select Committee did not submit any feedback. “These regulations are designed to support people on to universal credit. They protect 500,000 severely disabled claimants and provide transitional protection for all those moving to universal credit, meaning that no one loses a penny at the point of transfer. Halting the rollout ... what of the victims from the existing rollout ? Food banks fear winter crisis as universal credit is rolled out. Charities are stockpiling emergency supplies and appealing for donations and volunteers. Universal credit: More than half of people denied benefit have cases overturned on appeal, figures show. More than half of people denied universal credit were found to be entitled to it when their cases were investigated, prompting fresh demands for the national rollout of the new system to be halted. Fresh analysis of figures shows 55 per cent of people who took the government to court over decisions to deny them financial support under the new system had their cases overturned. Campaigners warn that incorrect refusals by caseworkers are leaving vulnerable people out of pocket for months, and said the true number of wrong decisions was likely to be far higher as many claimants didn’t have the means to challenge decisions. Government data shows that in the three months from April to June, there were 988 appeals against universal credit decisions, of which 543 were successful. Overall in 2017/18, 1,522 appeals out of a total of 3,337 led to decisions being overturned. The figures will fuel concern over the government’s flagship reform, which has come under fire in recent months after it emerged people with disabilities and other vulnerabilities have been driven to severe hardship and anxiety after it docked their support. 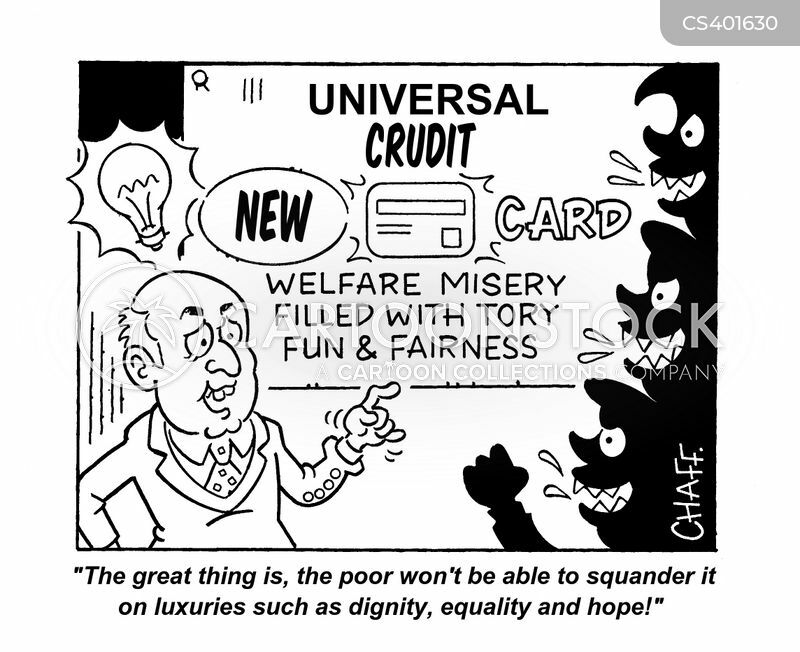 Introduced in 2013 with the intention of bringing “fairness and simplicity” to Britain’s social security system, universal credit rolls six major working-age benefits, including jobseeker’s allowance, tax credit and – crucially – housing benefit, into one payment. Nimrod Ben-Cnaan, head of policy and profile at Law Centres Network, said the high success rate on benefits appeals was “deeply worrying” and that the figures exposed a system was “getting too many decisions wrong first time”. He continued: “It means people who are already at a disadvantage, which is why they are awarded benefits, are being short-changed and not getting the support they need to get by. “Four in five benefits appeals are about ESA or PIP – sickness or disability benefits – where the benefits are likely to be their only source of income. Even if they get justice at the end of it, they are out of pocket for months until their appeal is heard and decided. In the interim many rely on food banks or other charitable support, and must choose between vital needs like heating or eating." Mr Ben-Cnaan added that obstacles to challenging bad benefits decisions mean that official figures were just an indication, rather than showing the full scale of the problem. “Not everyone who should appeal does so. You go through Mandatory Reconsideration first, and only after it can you appeal to the benefits tribunal. Many people are daunted by the prospect and need legal assistance to prepare their case," he said. "Legal aid for benefit appeals is almost entirely gone, and what legal assistance remains is patchily funded, leading to a post code lottery and to advice ‘deserts’ in parts of the country. People are effectively denied justice." Mr Ben-Cnaan added that the figures were likely to only be a snapshot of incorrect universal credit decisions, due to the cost barriers and stress that comes with lodging an appeal. “People often don’t know how to appeal – where do you go, who do you see. And when you lodge a benefit appeal, the wait for it to be heard is months long – on average around five months. Legal aid for benefit appeals is almost entirely gone,” he said. Citizens Advice, which has recently been contracted by the Department for Work and Pensions (DWP) to support the rollout of the new benefit, has seen 3,929 individual clients on issues with universal credit appeals in the past 12 months. Responding to the appeal success rate, James Taylor, head of policy, public affairs and campaigns at disability equality charity Scope, said: “The appeal success rate is cause for concern – and a clear indication that the assessment process is in need of reform. “Disabled people regularly tell us about difficulties they face getting support from our welfare system. Many are forced to appeal decisions and face unnecessary financial hardship as a result. Universal Credit: Single mums take government to court. A single mum who relies on Universal Credit to top up her income as a part-time dinner lady is challenging what she says is the government's " Irrational " welfare scheme. Danielle Johnson, 25, from West Yorkshire, said: "I have never been this financially unstable before." Together with three other single mums, she is claiming in the High Court that the new payment system disproportionately affects single parents - most of them women. UC is a means-tested benefit. It rolls six separate benefits into one payment and has proved controversial almost from its inception, with reports of IT issues, massive overspends, administrative problems and delays to the scheme's roll-out. Lawyers acting for the women will now argue there is a "fundamental problem" with Universal Credit, which is likely to affect "tens of thousands" of people claiming benefits, caused by a "rigid, inflexible assessment system". Ms Johnson, like many employees, is paid on the last working day of the month. However, her monthly Universal Credit assessment periods are rigidly fixed, running from the last day of each month. This means that that if she is paid before the last day of the month and payment day falls on a weekend or non-banking day, she is assessed as having been paid twice that month. As a result she receives less benefit and is short of money the following month. Ms Johnson said: "I'm doing my best working part-time to make ends meet so that I can look after my daughter. "I have never been this financially unstable before, to the point of being unable to afford my rent and having to go into my overdraft when buying food. "It is getting me into a vicious cycle of debt," she said. Ms Johnson's lawyers, Leigh Day, said Ms Johnson was about £500-a-year worse off and struggled to budget in months when she received no benefit because of the way the system operated. Claire Woods, another single mother, said wildly fluctuating income from month to month has forced her to turn down a promotion, use a food bank and incur debts. In a previous job working for a County Council, Ms Woods was paid at the end of every month which would clash with her Universal Credit assessment period. As a result, she lost money, couldn't meet her monthly outgoings and lived with the anxiety of a fluctuating income. "I had to go to a food bank and I took out an advance that I am still paying back," she said. "I took two jobs - as a PA and a waitress - which I could do without the education I invested in, but which had paydays which don't clash with my assessment period. "I invested £40,000 in higher education studies so that I could become an occupational therapist and it's great that I've got my degree but I have had to put my career hopes on hold because of Universal Credit." Child Poverty Action Group's solicitor Carla Clarke, who is representing Ms Woods and fellow claimants Erin Barrett and Katie Stewart, said: "Our clients have been left repeatedly without money for family essentials simply because of the date of their paydays. "This is a fundamental defect in Universal Credit and an injustice to hard-working parents and their children that must be put right for our clients and everyone else affected." Last edited by Chris From The Gulag on Tue Nov 27, 2018 3:56 pm, edited 1 time in total. That rigid day rule affected my son. It is crazy. .... and that UC steamroller has yet to reach more than 20% of manors ! ANY family / kinship carer claiming one of the qualifying income related benefits will be flattened by it ... eventually !!! Universal Credit claimants express anger over DWP spending millions on " Rosy " benefit adverts.
" I can see that people should get information about Universal Credit. But not a pink and fluffy advert " said one claimant. Universal Credit claimants have reacted angrily over what they deem to be positive ads for the controversial benefits system after, it was revealed the Department for Work and Pensions (DWP) had spent millions on the campaign. Claimants have told i the adverts do not express the reality of living on Universal Credit, which has left some people in debt and struggling to afford food. So far in 2018, the DWP has spent just over £2m on social media campaigns, digital displays and bus stop posters, which is up from the £1.7m spent the previous year, according to a HuffPost UK Freedom of Information request. In 2016, just over £500,000 was spent, taking the total expenditure for the last three years to more than £4.2m. Since the roll-out began in 2013, Universal Credit has been blighted by problems, with claimants reporting being worse off than on legacy benefits and having to wait too long for their first payment to come through. Others, like Ms Boyd, have said they have had tough experiences with work coaches at the Jobcentre, whose role is to help claimants back into employment. A growing number of claimants who are being moved over to Universal Credit, which rolls six benefits into one monthly payment. It is expected to be fully implemented in 2023, following a series of delays. She says the advertising money could have been better spent “on things like the flexible support fund, where claimants can get help with money for [travel] fares to interviews. One claimant said they were “shocked” at the tone of the adverts, which “promoted Universal Credit as if everything is rosy”. “The DWP should be advertising the truth, that many millions of people, particularly single mothers and disabled people, will be thousands of pounds worse off,” said Sarah Spoor, who receives Universal Credit on behalf of her son who has severe disabilities. “I can see that, yes, people should get information [about Universal Credit]. But not a pink and fluffy advert,” she said, suggesting a copy of the Welfare Benefits and Tax Credits Handbook would be a better way to spend the advertising money. Ms Spoor, 56, from London, described the reality of Universal Credit for her. “In being forced onto this benefit you will receive no money for five weeks, at least. Luke O’Donnell, who was sanctioned for missing a Jobcentre appointment due to having a seizure, said the adverts needed to be more informative. “Explaining the difference between Jobseeker’s Allowance and Universal Credit for a start,” he suggested. A job for Trading Standards , me thinks ? Trying to sell snake oil as single malt ??? What to do if you are facing Christmas on Universal Credit with Hull rollout days away ? There are fears families will have to resort to using foodbanks ahead of the rollout on December 12. Fears have been raised that families in Hull switching to Universal Credit will have to resort to foodbanks, with benefits claimants urged to get their paperwork sorted ahead of next week’s controversial rollout. Next Wednesday, Hull will join other cities and towns across the country in becoming a full service area for the new benefit which will replace Income Support, Jobseekers Allowance, Employment and Support Allowance, Working and Child Tax Credit and Housing Benefit. However, instead of receiving praise, Universal Credit has received a lot of criticism, with even Hull City Council admitting that some will be worse off on the new benefit. With full service just around the corner, Hull Live asked Hull City Council and the Citizens Advice Bureau for the best advice ahead of the rollout so that people on benefits are able to enjoy Christmas and new year with money to their name. How is it paid and how much will I get ? Universal Credit is different in that claimants will receive payments monthly, meaning some will have to change how they budget their money. The delays on some getting first payments, though, have left many in arrears. Andy Coish, advice session supervisor at Citizens Advice Hull and East Riding,said: "It's been a massive problem. There have been cases of people waiting six to 10 weeks for their first payment. "That's a problem because Universal Credit includes what's known as the 'Housing Element' - this replaces Housing Benefit. Some people have been accumulating two or three-month rent arrears. The amount awarded to each claimant will depend on every person's income and circumstances. Single claimant aged under 25: £251.77 per month. Single claimant aged 25 or over: £317.82 per month. Joint claimants both aged under 25: £395.20 per month. Joint claimants either aged 25 or over: £498.89 per month. How has Hull City Council prepared for the rollout ? With Hull one of the last places to become a full service area, the council has had time to take stock of the impact Universal Credit has had on residents in other authorities. Early problems it has encountered include significant delays of six to 10 weeks with first payments and an increase in debt and evictions. However, from this, it has been able to implement certain regimes so that it is in the best shape possible ahead of the switch. To prepare, the council has had regular meetings with the Department for Work and Pensions (DWP), it has created a dedicated team in housing to work on ‘full service’ Universal Credit cases and it has carried out training with over 400 front line staff. 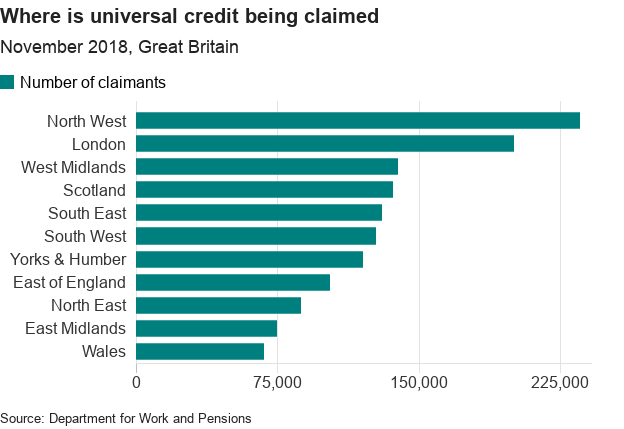 It is expecting a rapid increase in the number of arrears cases with 50 new claimants set to move onto Universal Credit every week in the area. With Britannia House now the biggest JobCentre in the country, the council knows it faces a huge challenge and it is predicting an initial period of “volatility” until arrears levels stabilise. However, the council insists it will do everything it can to help new claimants struggling with the switch. Councillor Mike Thompson, portfolio holder for neighbourhoods, communities and environment, said: “The council has worked extensively with the DWP and other partners ahead of the introduction of Universal Credit in Hull, to ensure there is as much support as possible. “We have looked at best practice from other local authorities and have dedicated housing and customer service centre trained staff to help residents. What help does the council offer to struggling families ? The council does provide help to residents who are struggling due to low income or other financial hardship. If you receive housing benefit or the housing element of Universal Credit and are struggling to pay your rent or perhaps even a deposit to secure a tenancy, you may be able to apply for Discretionary Housing Payments (DHP). Unavoidable extra expenses because of special circumstances, such as disabilities, health problems or urgent debts. Difficulty paying rent, while you are trying to find a cheaper property. Special reasons why you need to stay in a particular property. Any part of your rent that is for services and not eligible for Housing Benefit (for example water rates, heating, meals). Increases to rent to collect outstanding arrears. Loss of income if a claim for jobseekers allowance or income support has been suspended or you have had a sanction on your claim. A shortfall caused by the recovery of overpaid housing benefit. To claim, you have to fill out a DHP application form, which can be found on the council website. You might not be surprised but preparation is the key. Claimants who are struggling can apply for advance payments which are repayable over a 12-month period but you need to have the right documents to hand to access these payments. Back in May, Mr Coish urged people to get their paperwork ready and now he has revealed what claimants will need to secure advance Universal Credit payments. He said: “In order to get advance payments, you have to provide evidence in two parts. One part is evidence of your identity which will enable you to get personal allowance of Universal Credit in advance. “The second issue is proof of your housing costs, so in order to get the second half of your payment you have to have evidence of your housing costs. Mr Coish said that some people will be forced to lean on charitable payments and potentially even foodbanks due to the switch, with disabled people and young single parents some of those set to be worse off under Universal Credit. However, he said the doors are always open at The Wilson Centre in Alfred Gelder Street to help those who are struggling or need advice. Customers looking to make the switch should contact the DWP Universal Credit helpline on 08003285644 with any queries or call into the Hull JobCentre at the top of Spring Bank at the junction with Ferensway. Information is also available on the council website, including a calculator which will give you an estimate of what you will receive based on your current circumstances. If only every LA were on the ball ???? I hope the above proves useful as that steamroller continues to flatten manors nationwide ! Around SEVEN MILLION once the steamroller has completed it's tour. 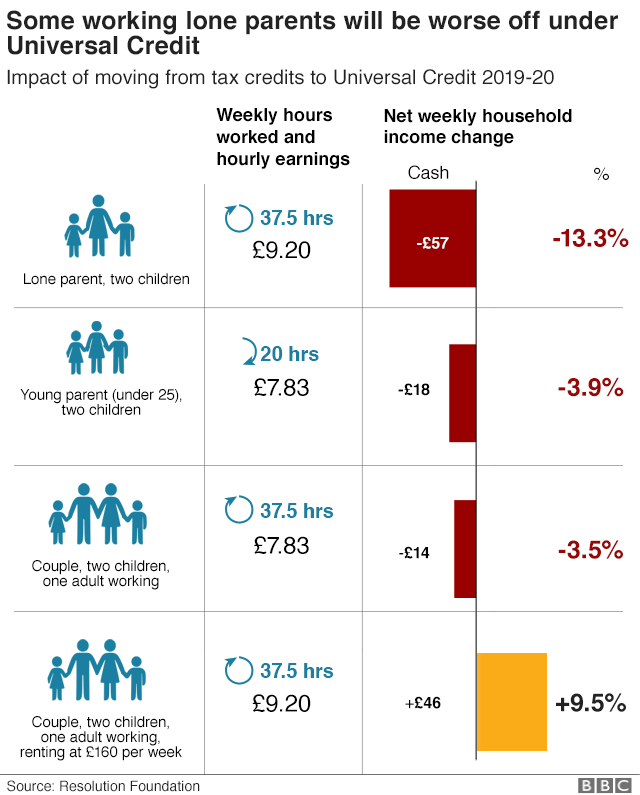 How does universal credit work ? Universal credit combines six "legacy benefits" into one monthly means tested payment. The legacy benefits are working tax credits, child tax credit, job seekers allowance, income support, employment support allowance and housing benefit. A single universal credit payment is then paid directly into the claimant's bank account. Since 2016 new benefit claimants have been enrolled onto the system. For those people claiming benefits from before 2016, they will be moved onto the new system from 2019 onwards. Its estimated eventually seven million households will be receiving benefit payments worth £60bn a year through universal credit.